Do you want a garden, retreat, or wildlife sanctuary in your own backyard? A place where your family and friends can get together. An outdoor space that’s both pretty and practical. 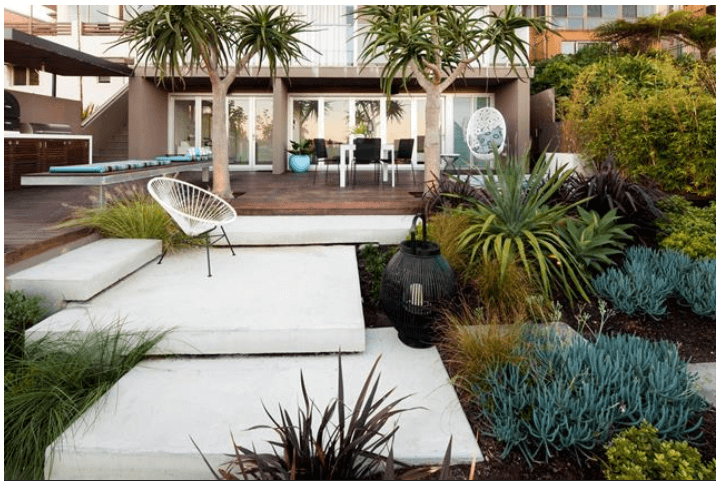 If so, you’re in luck because these landscape design ideas are hot right now! Whether you have a big backyard or a small one, you can make the most of the available space and live your dream. And whether you’re building or renovating your home, with these top six landscaping trends for 2018, you can enjoy your outdoor space day and night, all year round! With many people wanting to bring the indoors out, outdoor living spaces remain a popular landscape feature. Living in the great outdoors is fun and exciting. It’s also a favourite Aussie pastime. You can entertain family and friends, get closer to nature, or relax under the sun or stars. 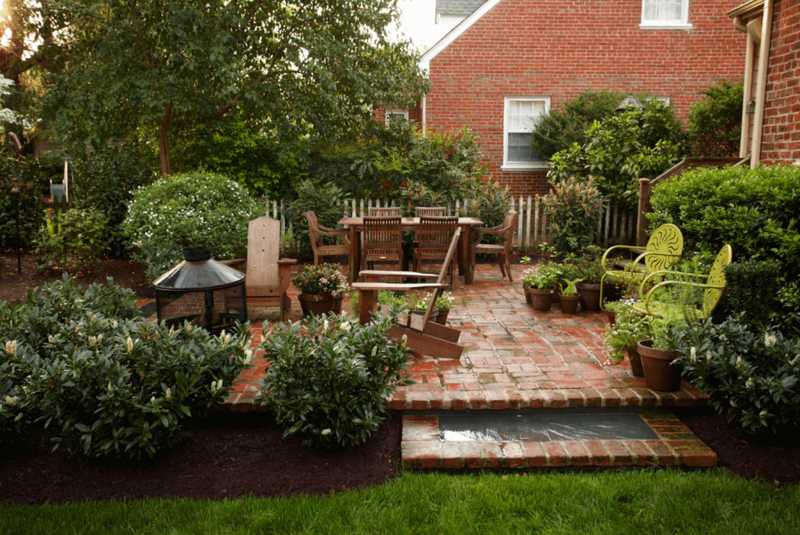 You can do this by creating a deck, a patio, or an outdoor room as shown here. Just like when living indoors, you’re not limited to a lounge, table, and cushions. You can include a daybed, an outdoor shower or even an outdoor kitchen. The kitchen can simply have some cupboard space, a benchtop, and a BBQ as you can see below. Or you could go further and add a breakfast bar with stools, plus a dining table and chairs. If you want a bigger, more elaborate BBQ, check out these 10 great stone BBQ ideas to help you get started. You can design your outdoor living space right off the back of your house, but you could also push it out into the garden. This outdoor dining space, for instance, immerses people in the ambience. They get to have a more luxurious experience and experience more of the garden. Don’t forget the lighting! You want to be able to see at night. Strip lighting will become trendier in 2018 as it can be used to complement outdoor room elements. You can place the strip lights beneath steps, seats, and benchtops – they add an ambient feel in the evening. Want more tips? Here are 4 things to get right when creating the perfect outdoor dining area. An outdoor fireplace or fire pit will not only warm up those cold nights, it’ll also make outdoor entertaining the best it can be. You and your family or guests can gather around the fire and tell stories or roast marshmallows. You can choose between a freestanding fireplace and a wood-burning or natural gas fire pit. You could hang up a TV above the fireplace and watch under the stars. On the other hand, a built-in fire pit can also be used as a coffee table, and a portable fire pit with an iron or steel bowl is the perfect option for you if you’ve got a small yard. If you decide on a portable fire pit, get a high-quality one with wrought iron. This way, it’ll heat up and warm you, unlike most other portable fire pits that don’t heat up anything. If you have a patio, a portable fire pit allows you to maximise your patio space if you scarcely use it. What’s more, you could have a fire feature that serves a variety of purposes to save on space, just like the one below. 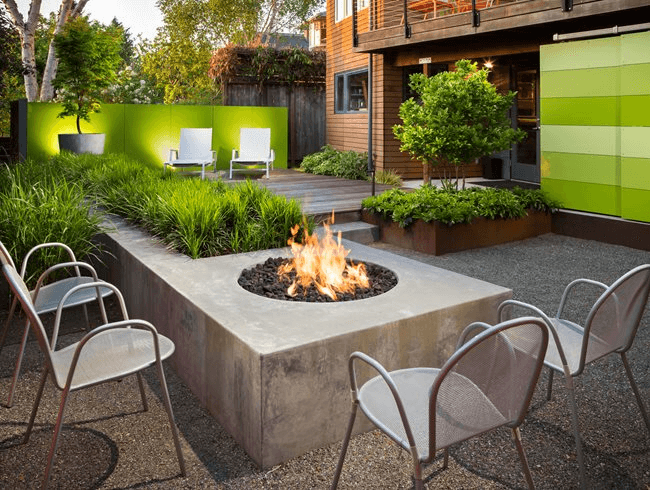 This concrete fire feature is used as a curb edge for the deck, a planter, a seat wall, and a place to collect water from downspouts. A water feature can also be used to create a focal point in your backyard – be it a fountain, a pond, a waterfall, or even a swimming pool. 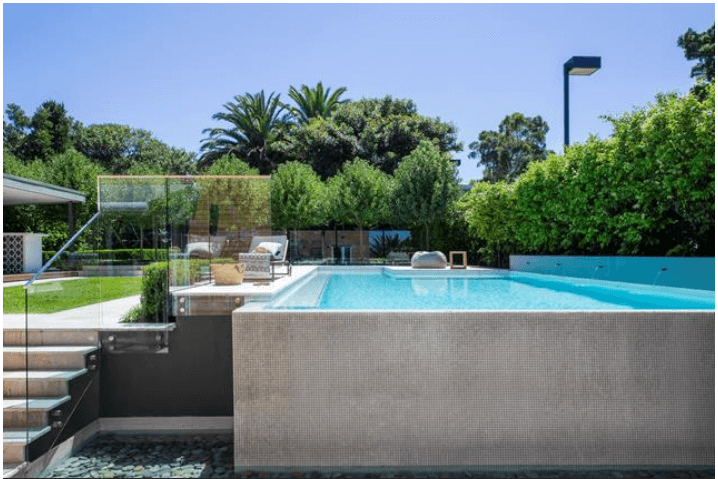 According to Matt Leacy, “the pool can become a subtle water feature that looks like a natural part of the landscape.” Moreover, a swimming pool will not only increase the value of your property, it’ll also add a sense of prestige and class. Matt says we’ll see more raw and finished concrete being used for pools in 2018. 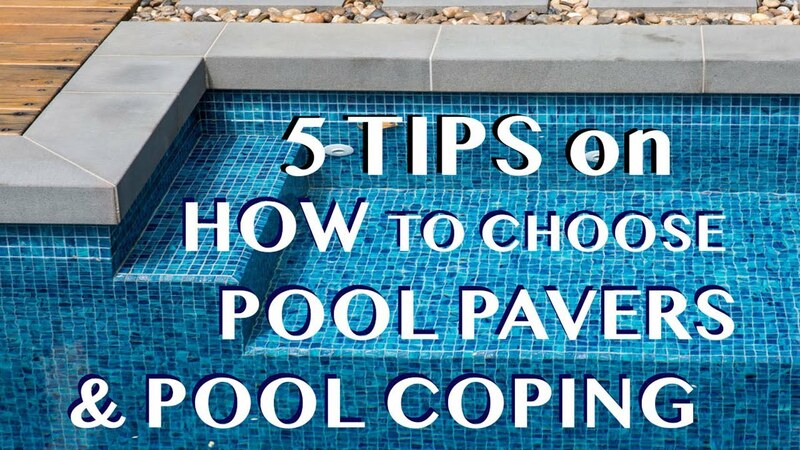 He also predicts that more Aussies will choose black or white pools over blue pools. A white pool, as shown here, gives the appearance of white sand just like at the beach. And when it reflects the sky, it achieves a beautiful, pristine blue water that appears natural and un-enhanced. A black pool, on the other hand, is elegant, natural, inviting, and gives a certain opulence. You can also use it as a reflection pool, so you get two types of pools in one! Want to add a waterfall or pool to your yard? 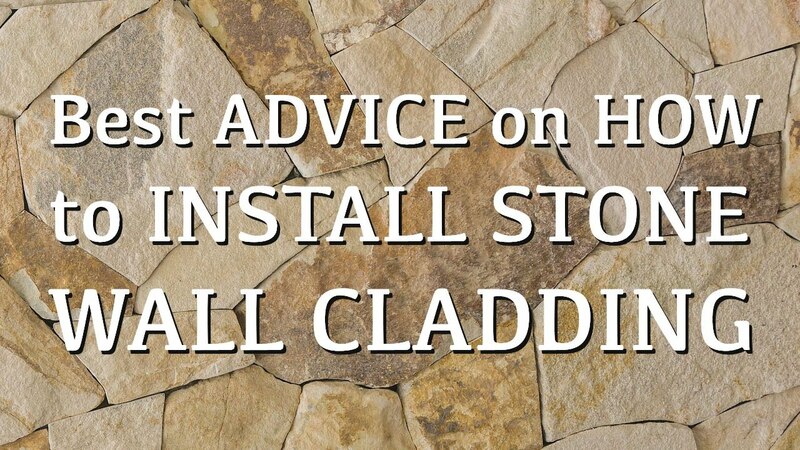 Find out how to design and install a water feature as well as how to choose a pool design to suit your home and lifestyle. Textured flooring in landscaping will also be trending this year. 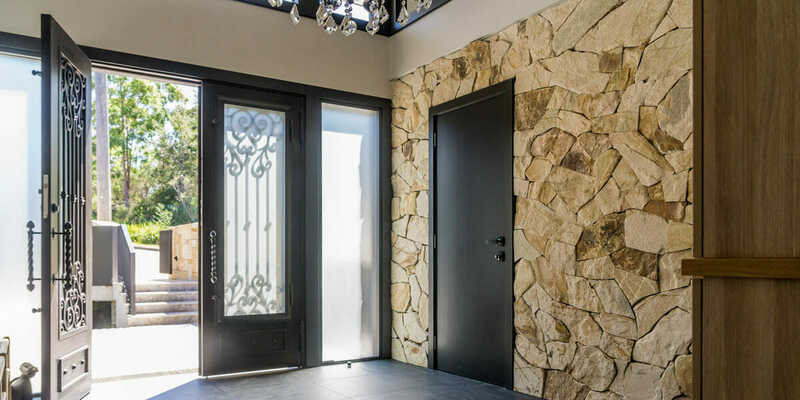 This includes tiles and pavers made of cobblestone, as well as different variations of granite, limestone, and marble. You can use different stones for flagging and cobblestones to break up large areas. For example, cobblestones break up the space in this garden. For a more unique design, consider mixing linear lines of cobblestones with rounded shapes. If you prefer a pathway made of sandstone, here are some tips for designing a sandstone garden path. As for concrete flooring, it delivers a refined finish – whether it’s honed, burnished, or sand-blasted. It’s also durable, low-maintenance, and versatile. What’s more, it can be customised to enhance the individual aesthetics of your outdoor space. This can, in turn, add value to your property. Here’s a creative concrete flooring design to inspire you. With compact living now the norm, you can expect to see smaller gardens. But you can still make a small garden useful and attractive. Like this small garden, you can replace your lawn with hardscape and place a table and chairs in the middle for relaxing, teatime, or socialising. Then fill the borders with plants and flowers. 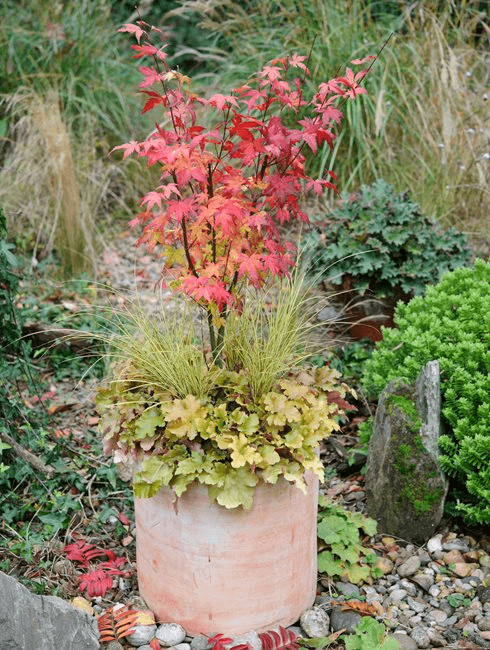 You could try combining plants and flowers in containers with others that complement their colour, structure, and textures. For instance, Japanese maples look good together with greater brown sedge and alumroot (evergreen). Or you can combine them with another evergreen plant. 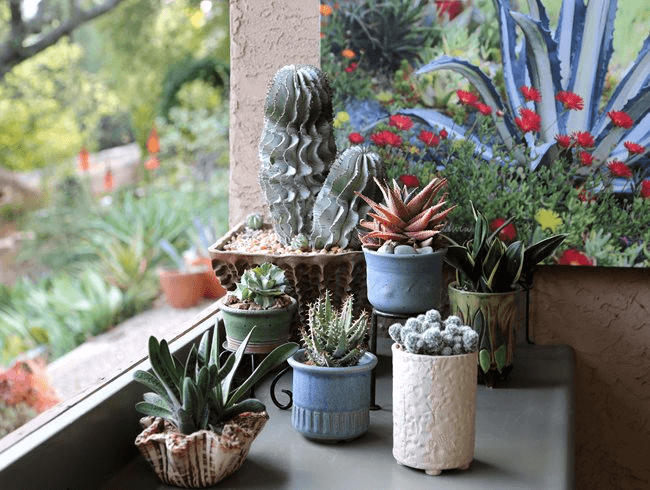 You could also grow succulents and cacti in small containers – they provide an architectural element to your outdoor area. Cloud and sphere-pruned plants can also make your small garden look impressive. Another thing you can do is grow your own veggies in a raised vegetable garden. It takes up little space and can be built anywhere. Here are some things to consider when building a raised vegetable garden. You can grow edibles such as cucamelons, burr gherkins, ground cherries, chickpeas, and edamame. Leafy veggies include amaranth, sweet potato leaves, and magenta spreen. You can even plant flowers in your veggie garden, like sweet alyssum, cosmos, calendula, zinnias, and nasturtiums. Garden edging can make your small garden look neat and eye catching. It can also help you maintain your garden easily, separate planting styles, and define pathways. What material should you use? Here’s how to choose the right garden edges for your outdoor space. Supporting local wildlife is on the rise and you can do the same. You can attract bees, birds, and butterflies to your garden by creating a wildlife habitat – a place where they can eat, drink, and rest. replace some or all of your lawn. Whether you want to create an outdoor living space or a wildlife habitat, you should approach your garden and landscaping design with a clear vision. This way, you’ll be able to create spaces that are attractive, functional, and liveable. And you’ll be sure to make your guest’s jaws drop in awe and your neighbours green with envy. Armstone can help you build the landscape of your dreams. We have a wide range of outdoor pavers, tiles, and natural stone flooring available for you to create truly unique outdoor living spaces. Contact us today and we’ll help turn your vision into reality and provide the perfect finishing touch to your landscaping project.